Have you ever had to re-floor your bathroom, or perhaps chosen a flooring material for your new home or renovation? 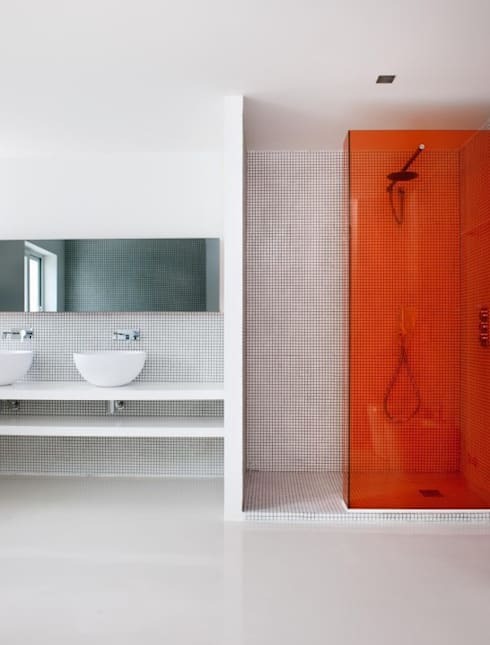 When it comes to bathrooms, there is nothing quite as daunting as flooring. Floors determine the overall aesthetic within a space, and picking the wrong one can be disaster for your newly refurbished wash space. 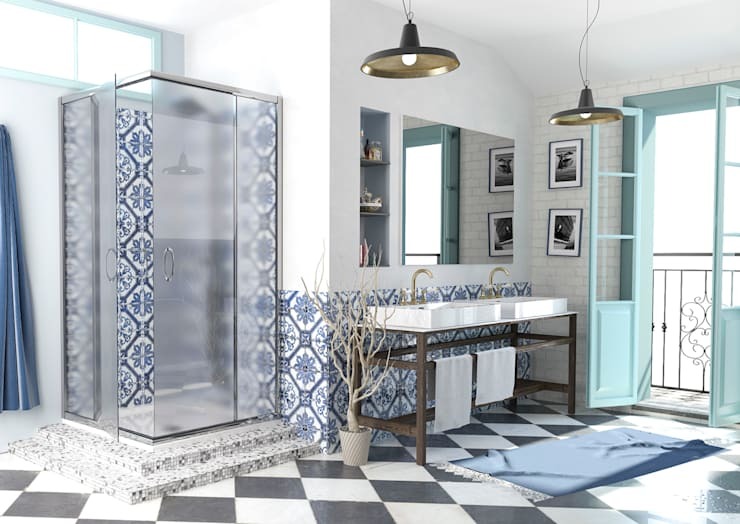 These days there are countless options, styles, materials, and designs on the market, it can be both baffling and a challenging knowing where to begin. Options such hardwood, tiles, vinyl, cork, and bamboo all come with advantages and disadvantages. 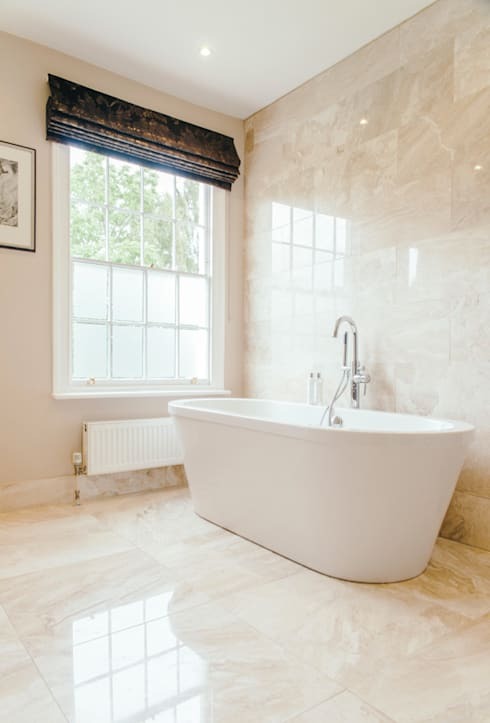 Today on homify we have selected nine of the most common bathroom flooring choices to help you choose the material that is right for you. 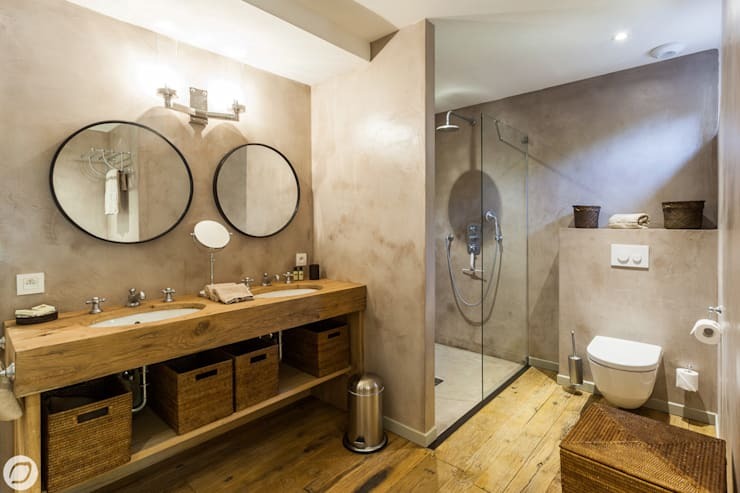 Take a look at the examples below, and ensure you make the right decision when it comes to your domestic bathroom revamp or renovation. Hardwood is a bathroom favourite. Warm, welcoming and beautifully characterful, timber flooring will undoubtedly stand the test of time, and offer its occupant a gorgeously charming ambience. Timber wears well, can be renovated easily, and will last upwards of 80 years, making it a popular option for traditional or heritage homes. However, it can dent, scratch, stain and absorb water, which makes it a little extra upkeep. Natural stone has many similar properties to marble, possibly without the extra lavish aesthetic. Stone is hardwearing, impressive, beautiful, and available in a range of different price points to suit many budgets. It has a high resale value, which is excellent if you intend to improve on your property, while the earthy elegance of stone along with its age-defiant and resilient properties make it a solid choice for flooring. The least expensive option available, most of us have had a home with vinyl flooring at one point in our lives. These days it comes in a range of colours, styles, and is exceptionally easy to clean and maintain. With all of these advantages, it is important to remember that cork won’t add any value to your home, and is seen as a less desirable option in most circumstances. Mosaic flooring is colourful, stylish, versatile, and limited only by your own creativity. Similar to tiles in its advantages and disadvantages, mosaics in the bathroom can add that extra verve or burst of life. 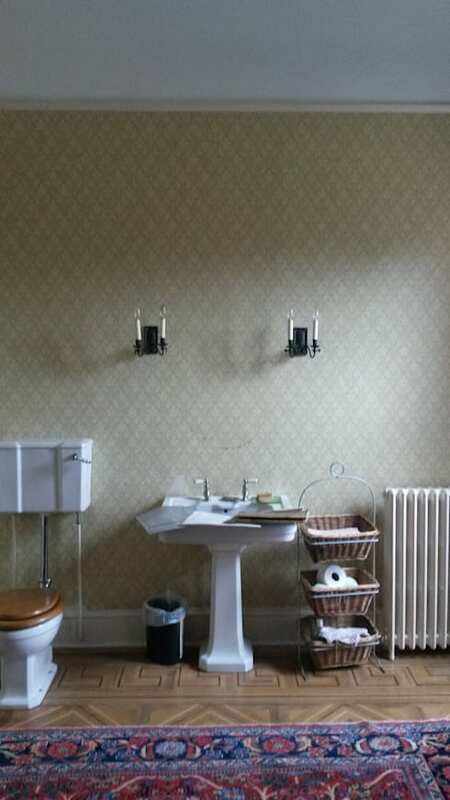 Once again, consult a professional unless you are a highly experienced DIYer, with additional knowledge in tiling. Bamboo is highly sustainable, eco-friendly, and stylish. As an added benefit it is also extremely inexpensive compared with other flooring options, costing approximately half the cost of traditional hardwood. Ideal for a wet environment, bamboo now comes engineered, adding to its durability and water-resistance. 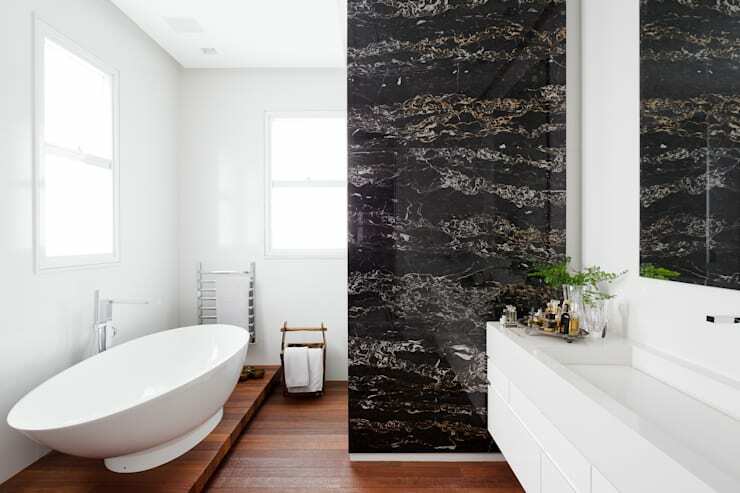 Marble is definitely the stand out material if you are looking to create a lavish or luxurious bathroom. Replete with a host of interesting colours and grains, marble will undeniably stand the test of time. Marble is also highly workable, meaning it can be shaped and changed to fit virtually any plan or design. Unfortunately, the high cost of marble makes it generally unattainable for most, and with regular maintenance required it is often reserved for particularly opulent homes. One of the best and most popular flooring options, tiles are clean, classic and timeless. Additionally, tiles are available in a plethora of different styles and designs, making them appeal to a large audience. Tiling will retain its resale value if installed correctly, and ensure your bathroom looks cohesive, waterproof, and highly usable. 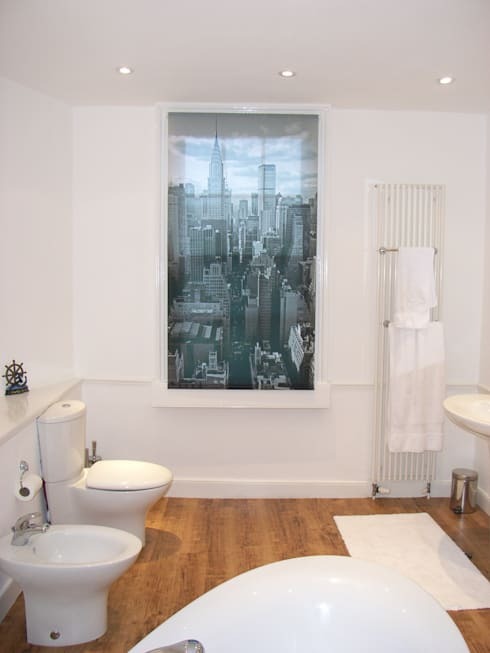 Have you considered laminate flooring for your bathroom? Many individuals are opting for this ‘wood’ alternative as a way to achieve a warmth and style within their home without the high price tag. It’s clean, low maintenance, DIY-appropriate, and resistant to stains and scratches. Sounds perfect, doesn’t it? Well, unfortunately like most flooring options there are a couple of disadvantages as well. Firstly it can be slippery, so ensure you choose laminate that has been treated for specific bathroom usage. Secondly, and this may be seen as both an advantage and disadvantage, it doesn’t have any unique features. Hardwood comes with flaws and characterful marks or attributes, but laminate is uniform and even. And thirdly, it simply isn’t timber. Laminate contains a plywood combination of chips and timber remnants with a veneer top, but lacks that intrinsic quality that traditionalists prefer as a characteristic in hardwood. Last up we have cork. Cork is by far the most sustainable option for a new bathroom floor with most cork being safely sourced every 10 years from renewable plantations. Along with its eco-friendly properties it is also extremely comfortable, softer than timber, with the same warm hue and glow. It is stylish, but not to everyone’s tastes, meaning it is a particular look that will appeal to the majority, but not those who favour traditional timber. The downsides are its absorbent properties. It needs to be sealed with at least three coats of polyurethane if used in a bathroom, and any flooding can cause it to plump, warp and distort. 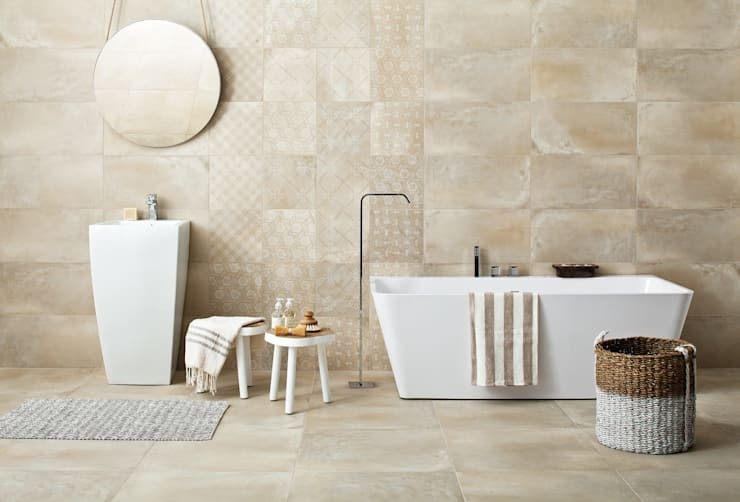 What is your favourite material for bathroom flooring? Let us know below!